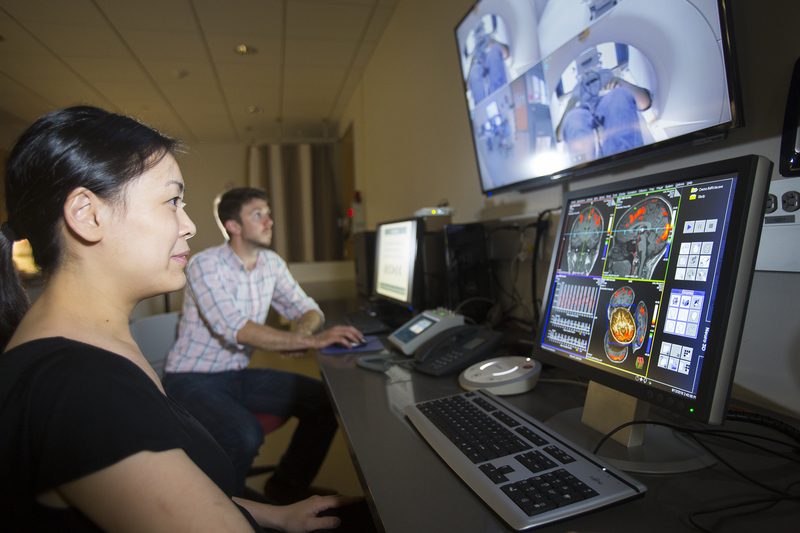 Located on the 2nd floor in the Life Science Laboratories the Human Magnetic Resonance Center (hMRC) provides state-of-the-art, non-invasive neuroimaging, whole body imaging, and spectroscopy technologies for academic and industry-based research in central and western Massachusetts. This is the only research-dedicated 3T MRI/MRS system in western Massachusetts. This system is ideal for investigating questions regarding normal and abnormal changes in human brain and whole body structure and function across the lifespan. 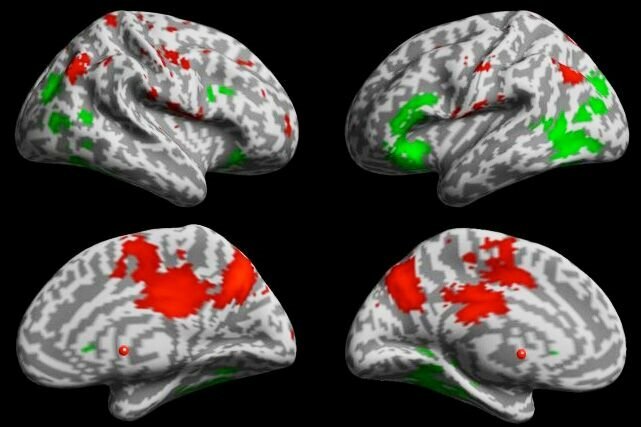 Functional Neuroimaging: Resting state and task-based functional brain imaging (fMRI) are used to investigate neurotypical brain connectivity and regional function across the lifespan, and to understand brain dysfunction and neuroplasticity. Spectroscopy: Magnetic resonance spectroscopy is used to measure the molecular composition of a tissue or muscle. 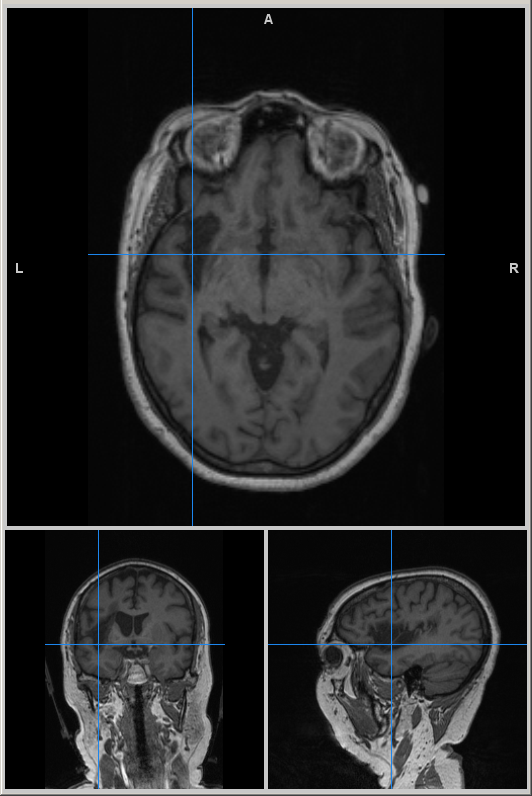 Structural imaging: Static imaging of the white and gray matter and CSF of the brain, as well as bone and tissue, are used to examine typical structural morphology and connectivity, as well as atypical structure, neuroplasticity, and neurodegeneration. The Skyra provides a wide bore and short length, making it ideal for scanning certain populations, e.g., children and obese persons, who may otherwise feel claustrophobic in a typical 60mm bore. The hMRC is equipped with 3 head coils (20, 32, and 64 channel), and a full array of body, foot/ankle, knee, and breast coils, and a docking exam table. A variety of MR compatible peripheral equipment is available, such as a 32” high resolution BOLD screen, a 128-channel EEG system, an eyetracking system, an active noise canceling microphone/headphone system, a system for MR elastography, an ergometer, and an array of button box, grip force, and joystick devices for acquiring experimental responses. The hMRC has a complete mock scanner system, including participant interfaces, and is particularly well suited for training participants to stay still in the scanner. Double tuned 1H-31P and 1H-13C surface and volume coils. 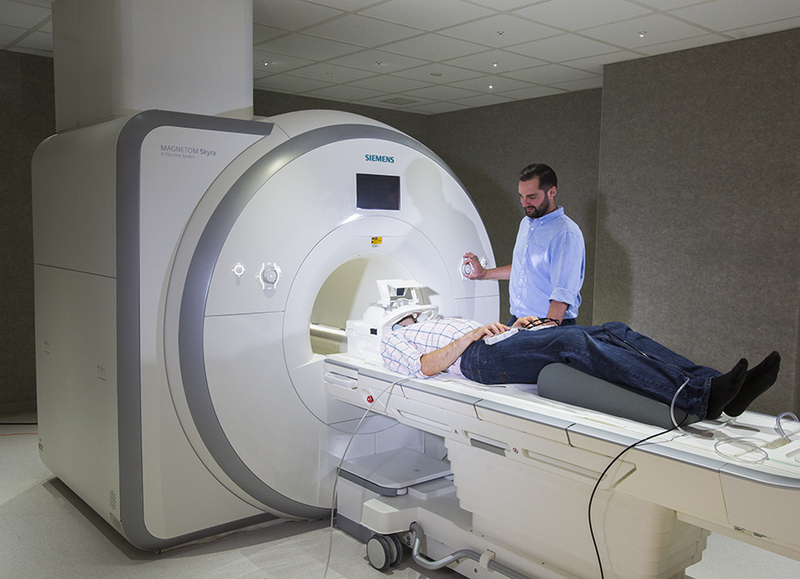 As a core facility, the Human Magnetic Resonance Center is a resource for basic and translational MRI and MRS research both from investigators on-campus and off. UMass Amherst neuroscientists use state-of-the-art structural and functional brain imaging techniques. Functional MRI (fMRI) is used to determine areas of the brain that contribute to performance of specific tasks. High-resolution structural images can be useful for identifying changes in the brain such as those associated with development, aging, or disease. Magnetic resonance spectroscopy (MRS) is used to measure the molecular composition of a tissue or muscle. In addition to structural brain imaging, static imaging of bone and tissue is used to identify skeletal, muscular, or differences across populations or individuals. Assistance with MR aspects of grant proposals. Feasibility scan: To evaluate your study using our facility and protocols, we may provide you courtesy scans once your feasibility scan request is approved by our co-directors. It is not mandatory to have an approved IRB protocol, but it is recommended to have an IRB protocol for human subject scans. Pilot scan: To collect preliminary data for an extramural grant, you may also apply for pilot funding to acquire pilot data at a reduced scan fee. You need to have an approved IRB protocol to acquire pilot data. Regular scan: You will be asked to pay for the full scan fee ($550/hr) and to provide an approved IRB protocol. Other scans: We also provide courtesy scans for student training and education, development and testing of equipment and scan protocols, and other public needs. These scans will be required to be approved by our co-directors. Please apply to scanning of all types using the Pilot/Feasibility form. The scan schedule is managed using a google calendar at hmrc@umass.edu. To schedule your MR scan, please review the "3T Scheduling Procedure" document before sending an email to your MR physicist or to hmrc@umass.edu. 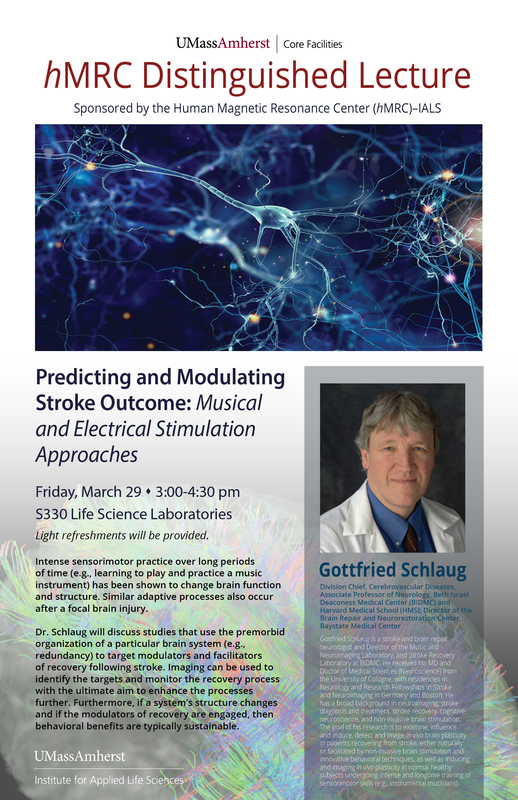 Dr. Kurland studies functional reorganization in post-stroke aphasia. 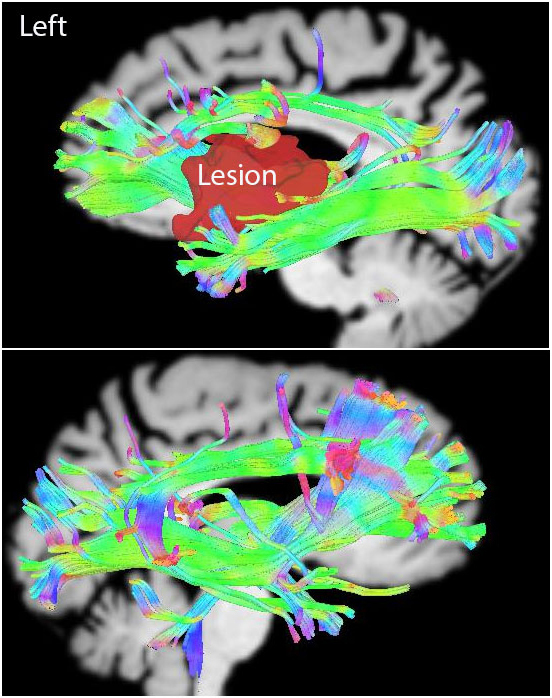 She uses structural and functional task-based and resting state MRI to examine treatment-induced neuroplasticity and language recovery in aphasic stroke survivors and the influence of practice on age-matched and younger neurotypical controls. 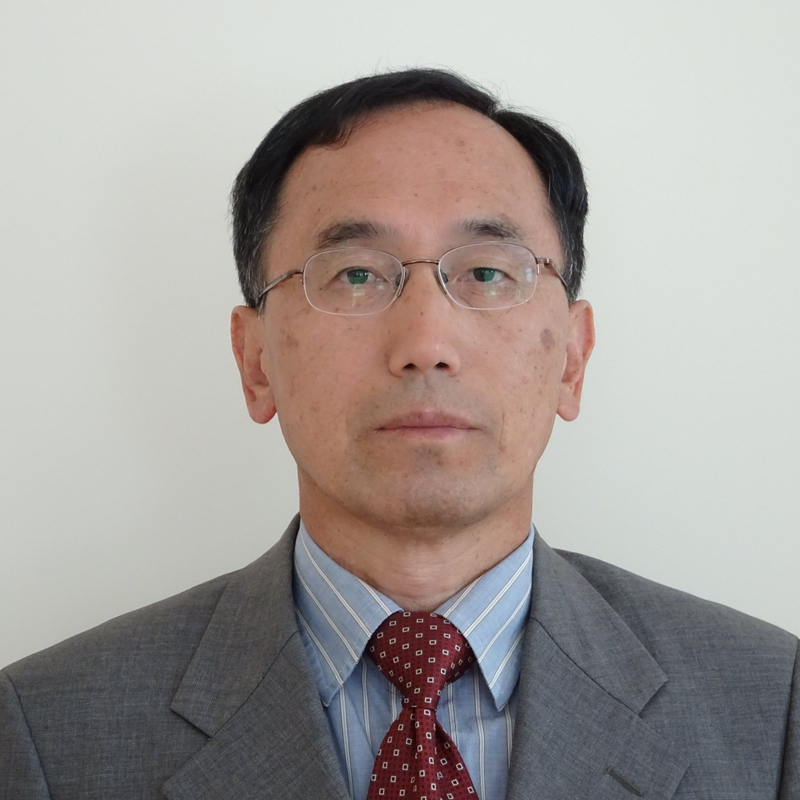 Dr. Jung is an engineer in Electronics and specializes in MR physics and signal processing for functional MRI, diffusion imaging and MR instrumentation. 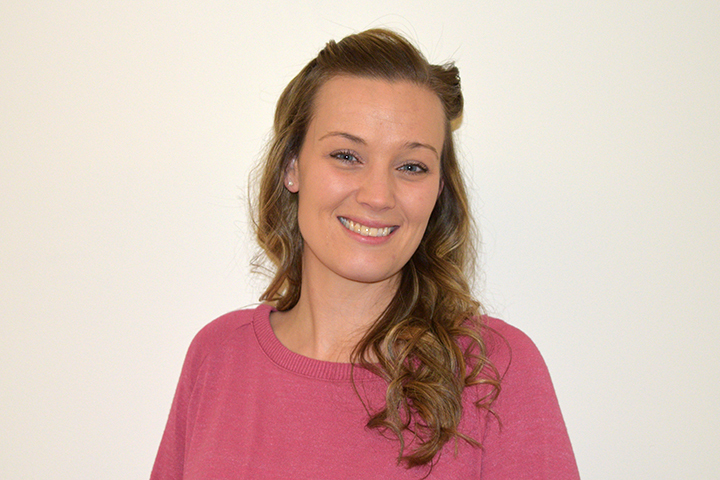 Elena Bliss is the MR technologist for hMRC. 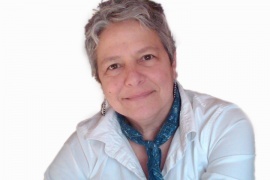 She has been working in the field of medical imaging for over 5 years and has a background in Magnetic Resonance Imaging and Radiologic Technology. hMRC Pilot Grant Program-Round 2 (PGP) is designed to assist faculty who utilize MR methods in their research to obtain sponsored funding, while supporting the long-term success of the hMRC. 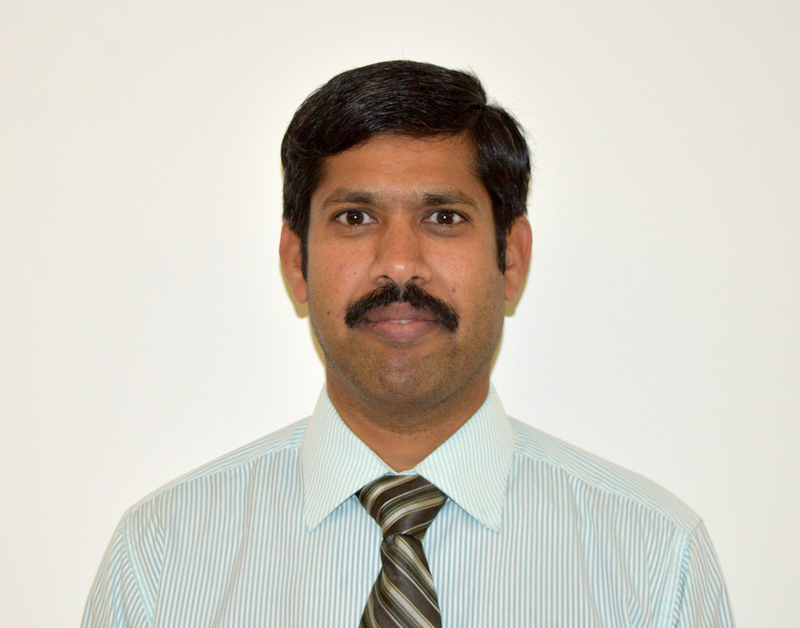 Bartlett MF, Fitzgerald LF, Nagarajan R, Kent JA . Limitations to Oxidative ATP Synthesis During High-Intensity Contractions: A Hyperoxic Mitochondrial Uncoupling Hypothesis. Abstract presented at the ACSM Integrative Physiology of Exercise Conference ( San Diego, California, USA) Abstract 168, 2018. Fitzgerald LF, Bartlett MF, Nagarajan R, Kent JA. In Vivo Muscle Oxidative Capacity Differs with Contraction Mode and Energetic Demand. Abstract presented at the ACSM Integrative Physiology of Exercise Conference ( San Diego, California, USA) Abstract 237, 2018. Gordon III JA, Nagarajan R, Arieta LR, Bartlett MF, Fitzgerald LF, Damon BM, Kent JA. Variability of Fat Deposition in Human Quadriceps Muscle in Vivo. Abstract presented at the ACSM Integrative Physiology of Exercise Conference ( San Diego, California, USA) Abstract 273, 2018. Rajakumar Nagarajan, Miles Bartlett, Kwan-Jin Jung, Jane A. Kent, and Nagendra Yadava. Human Magnetic Resonance Center, Institute for Applied Life Sciences, University of Massachusetts, Amherst, MA, United States; Department of Kinesiology, UMass, Amherst, MA, United States, Department of Biology, UMass, Amherst, MA; Pioneer Valley Life Sciences Institute (PVLSI), Springfield, MA; Department of Medicine, University of Massachusetts Medical School (UMMS)-Baystate Regional Campus, Springfield, MA. Non-invasive Detection of NADH+NAD+ in Human Muscle Using 31P MR Spectroscopy at 3T. Abstract presented at the International Society for Magnetic Resonance in Medicine (Paris, France) Abstract 5129, 2018. Kwan-Jin Jung and Jacquie Kurland, Human Magnetic Resonance Center, University of Massachusetts Amherst, Amherst, MA, United States; Department of Communication Disorders, University of Massachusetts Amherst. 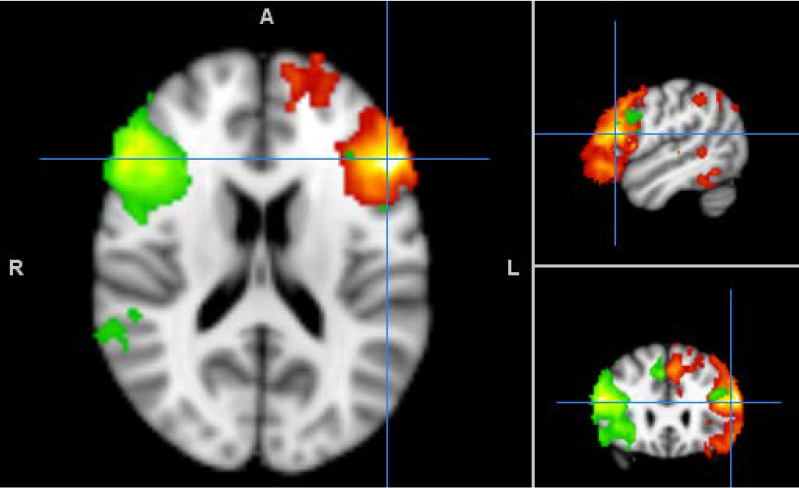 Diaschisis of The Language Network in Resting State fMRI Functional Connectivity of Post-Stroke Chronic Aphasia. Abstract presented at the International Society for Magnetic Resonance in Medicine (Paris, France), 2018. Kwan-Jin Jung and Hae-Min Jung, Human Magnetic Resonance Center, Institute of Applied Life Sciences, University of Massachusetts Amherst, Amherst, MA, Austen Riggs Center, Stockbridge, MA. A Weighted Square Averaging Method of Combining Primary and Temporal Derivative Parameter Estimates In General Linear Model Analysis of Functional MRI. Abstract presented at the International Society for Magnetic Resonance in Medicine (Paris, France), 2018. Kwan-Jin Jung , Youssef Jaber , and Frank C Sup IV, Human Magnetic Resonance Center, Institute of Applied Life Sciences; Department of Mechanical and Industrial Engineering, University of Massachusetts Amherst. A Validation of MR Flow Velocity Mapping with Automated Phase Offset Correction Using a Gel Flow Phantom Controlled by a Motorized Piston in MR Phase Contrast Cine Flow Measurement. Abstract presented at the International Society for Magnetic Resonance in Medicine (Paris, France) 2018. Bartlett M, Nagarajan R, Fitzgerald L, Chow E, Kent J. 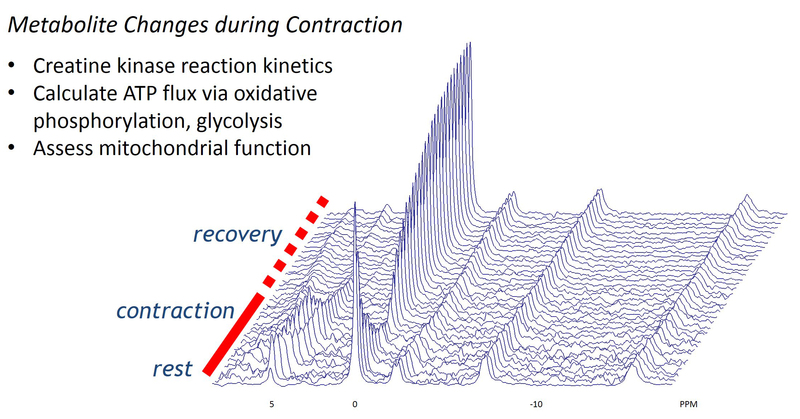 Calculating Muscle Oxidative ATP Synthesis in Vivo during High Intensity Contractions Using 31-Phosphorous Magnetic Resonance Spectroscopy: Adjusting for Changes in Vmax. Abstract presented at the Physiological Bioenergetics: Mitochondria from Bench to Bedside (APS Conference) (California, USA) Abstract, 9.1, 2017. Bartlett M, Nagarajan R, Fitzgerald L, Jaber Y, Chow E, Miehm J, Kent J. In Vivo Skeletal Muscle Energetics and Fatigue Are Not Different in Men and Women during Incremental Dynamic Knee Extension Work. Abstract presented at the Physiological Bioenergetics: Mitochondria from Bench to Bedside (APS Conference) (California, USA) Abstract, 9.16, 2017. Nagarajan R, Jaber Y, Barlette M, Fitzgerald L, Miehm J, Sup FC 4th, Kent JA. Development of an MR-Compatible Ergometer for Use in Quantifying Human Skeletal Muscle Bioenergetics During Supine Dynamic Contractions of the Knee Extensors. Abstract presented at the International Society for Magnetic Resonance in Medicine (Hawaii, USA) Abstract, 5001, 2017.
hMRC is dedicated to research of human MR imaging and spectroscopy. We do not provide any clinical diagnosis. If you have any question, please contact our staff or send an email to hmrc@umass.edu. Wear comfortable clothing, preferablly made of cotton and loose fitting. If you tend to get cold, bring a cotton sweatshirt - with no zipper. Remove any metal items from you pockets (e.g., pens, keys, loose change, etc.) and from your body (e.g., watches, jewelry, body piercings, etc.). For women it is recommended to wear a sports bra (i.e., no metallic clasp). If you wear eyeglasses, and you will be a participant in fMRI research involving visual stimuli, bring your eyeglasses prescription data. You can check whether you can qualify for the MRI scan using this IRB approved hMRC Safety Questionnaire. It will be helpful if you fill out the form and consult the researcher administering the experiment with any questions you may have–*prior to the day of the experiment*. MR Safety Training is ongoing and can be arranged by contacting the hMRC hmrc@umass.edu. As soon as there are enough new students, another Safety Training course will be arranged. Make a payment to the Human Magnetic Resonance Center.